In most AUDI 98-08 vehicles, a solid 3-in-1 factory connector blocks access to the CD changer port. The factory connector must be removed to gain access to the CD changer port. 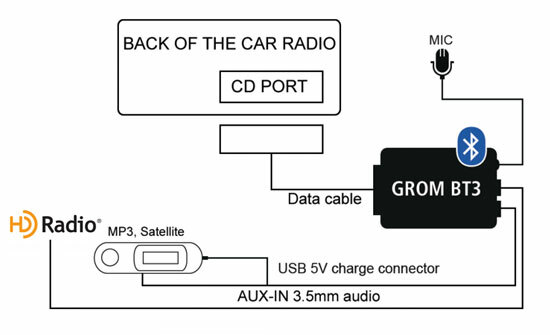 If that is your case we included for you to use AUDS harness that accepts the factory connector and plugs into the radio, leaving the CD changer port open for proper use of any interface adapter or auxiliary input converter.